It makes the cutest little braid, but I dont have a pattern for a quilt. The braid is only 5 inches wide, and no matter how I arrange the braids, it doesn't look balanced. They look so long and skinny. Any ideas? I have Googled french braid, watched Ellen do a Braid in a Day, but they all look wider. I'm stuck! If you're looking for some ideas, check out Marcia's pattern for the braid, you can click on a few sample pictures there. I think the ruler used in the MSQ tutorial is the binding tool ruler? 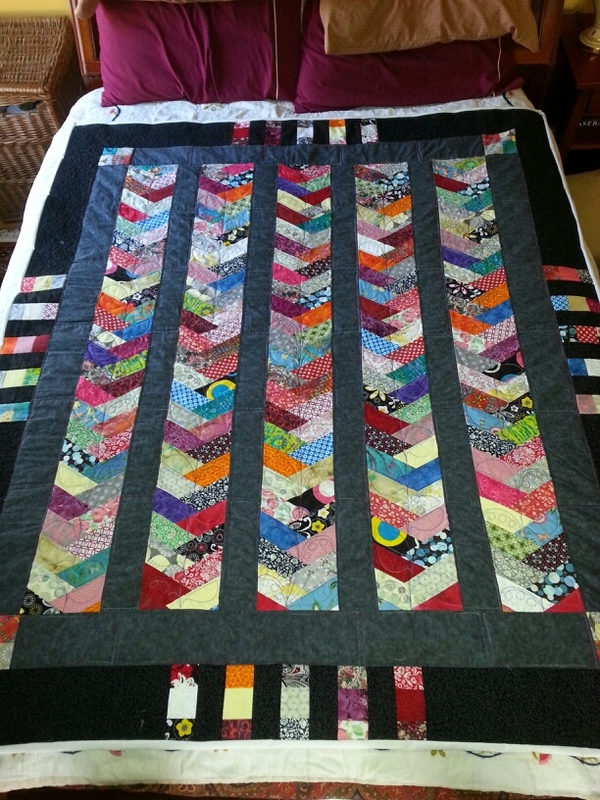 My avatar is a friendship braid quilt I made from Pam Lintott's Jellyroll Book. Last edited by klgls; 06-05-2013 at 07:06 AM. I'm wondering if you could just make several really big blocks of a series of shorter narrow braids to create a sort of woven type design - or would that be too busy? I bought a book filled with French Braid Quilts. I think that's the way to go. They are lovely. You can find many books on Amazon that are used and quite cheap. I have used Eleanor Burns braid template, the half hexie from MSQC, the binding tool and just strips cut with a regular ruler. They all worked just fine. You have to make sure you are consistent with your seams with any of the methods. I made a french braid quilt, easy to put together, but my advice is to stay stitch around the sides before you trim it up. Mine stretched a lot and I'll stay stitch next time. Did you put the hexies together the long way instead of the wide way? ? ? Why was the braid so narrow? I have those templates but haven't tried it yet. What I have seen that is really pretty is to put sashing inbetween the columns of braids. But, my favorite is when they use it as a border. 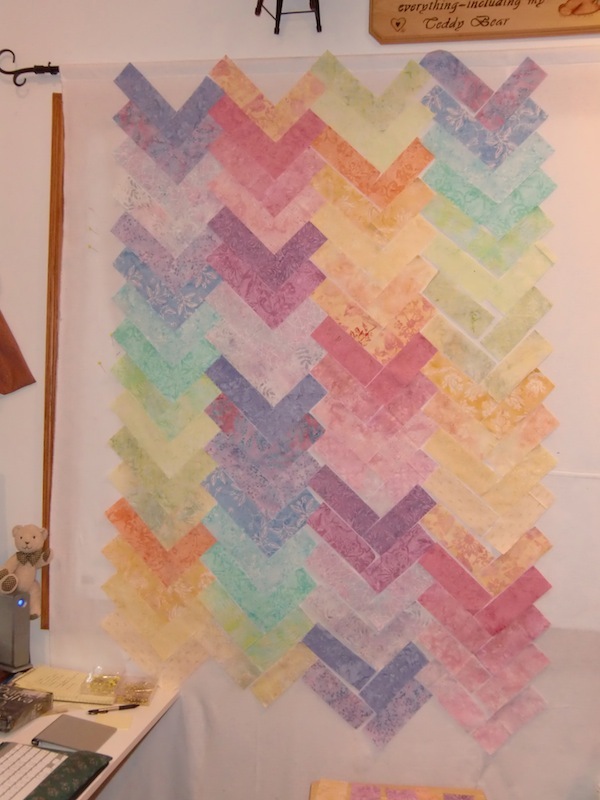 I think it would be great to use the small half hexi and make a small border around a center pieced block or panel, then some plain border, then use the large half hexi for a final, larger border. I made the french braid friendship quilt as a baby quilt just using two 2 1/2" jelly roles and a photo. I cut the strips into 7" pieces. The chevrons IMHO look more balanced if you use the same fabric for the touching pieces. 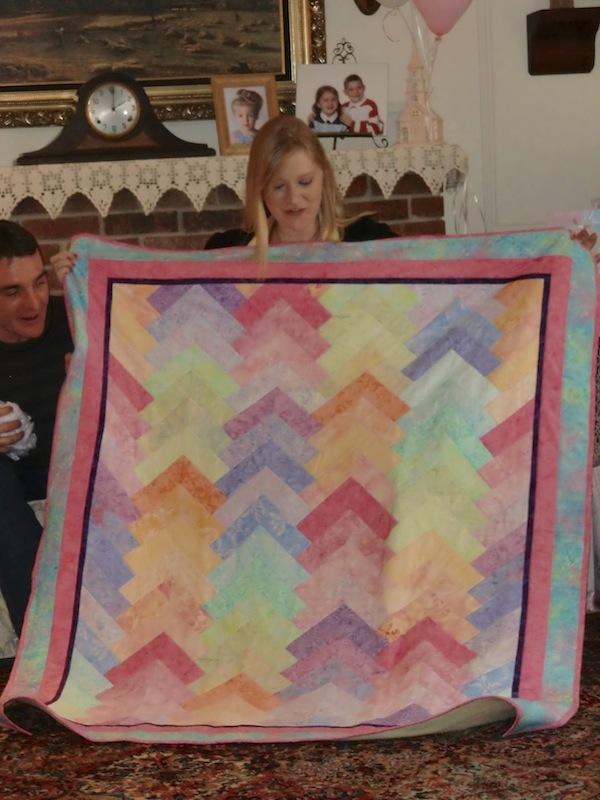 I loved the baby quilt. Here is a photo. First photo pieces on design wall. Second finished quilt. I took a class last fall at our quilt guild and made one. We measured and marked each strip and quilted it as we went along. Did not use a tool of any kind. It turned out well but I would not make another any time soon. I have made several French braids without a ruler or pattern. Just remember to keep in mind the ratio is 1 to 3. In other words, if you cut your piece 2 inches wide then it must be 6 inches long. if you do 2.5 then the length must be 7.5 I like this because you can make any size you want as long as you remember the 1 to 3 ratio. Hope this helps. I also bought the book at Hobby Lobby with the coupon and it has the most beautiful patterns. I think this is good advice. I'll try to remember this when I make mine (it's on my bucket list). A friend of mine had the same problem when she made a tablerunner from French braids. Thanks for the reminder! Yes, it is and I am getting ready to try it out. Oh I really like that! Came out wonderful! 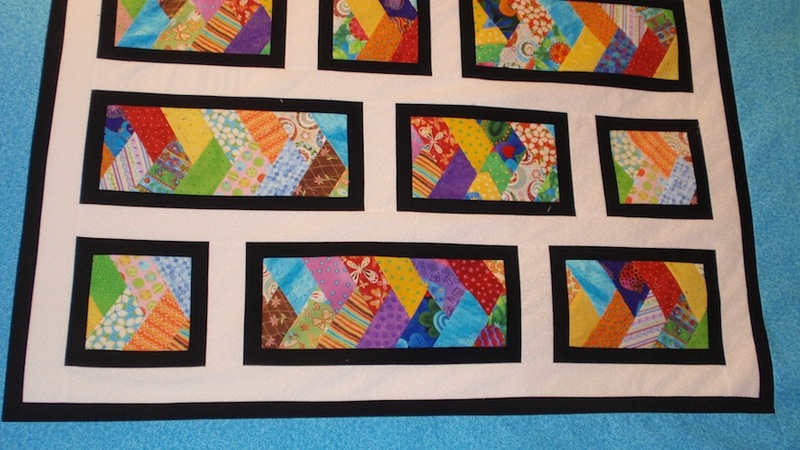 and BTW - when I googled 60 Degree braid quilt to get the link, the images came up and much to my surprise, mine is there! I have a set of 4 different sizes of 1/2 hexagons. I found it addictive and I didn't waste much fabric at all due to using the smaller sizes as I cut. I put each size in a separate shoe box. I will say the one thing I didn't do carefully enough was cutting on the bias. This did lead to some distortion so I highly recommend spray starching the fabric before cutting. I think you came up with a stunning solution to your problem. Congratulations!